This is an honest, simple and in-depth Siteground hosting review. It will provide you very clear details about the quality of web hosting provided by Siteground. In last 12 years, Siteground has established itself as a web host providing top quality services at affordable prices. It is one of the most reputed and popular web hosting companies of the world at present. While reading this review, kindly remember that most of you will be choosing a web host to handle your website/blog for next 1-2 years. Right selection of web host will make your website run smoothly. It will allow you to focus on creating great content, instead of wasting time in fixing technical errors. On the other hand, not investing some time to find the right host may harm you a lot. How ? A wrong web host can create many serious troubles for your website. Frequent technical errors, high downtime, slow speed, poor support, lack of essential features , are the most common issues. These issues can cost you a loss of hundreds of hours and hundreds of dollars of money. You will have to spend all this time and money to fix them. So, be careful and understand your needs very well. Find out maximum details about Siteground, before taking any decision. You do not have to find the best web host in the world, but the right web host for your particular website/blog . There are two ways to read this lengthy Siteground hosting review. First, from beginning to end in a systematic manner and second , you can jump from one part to another part of it. 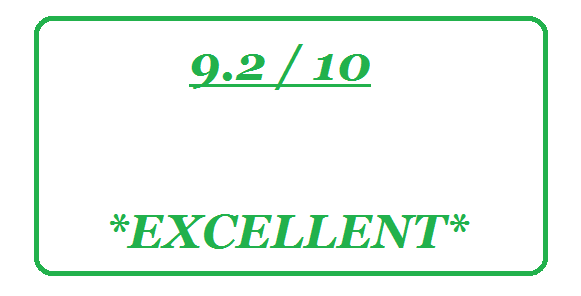 Before you move ahead in this review, let me inform you that we have rated A2 HOSTING as the No. 1 web host. We do detailed analysis and testing of every web host before providing any rating and ranking to it. Quality of service provided by a company is determined by its work ethics, level of commitment, attitude towards customers etc. All these things follow a certain pattern and do not change overnight. This part of Siteground hosting review will throw some light on company’s background. We will also look at Siteground’s present status in web hosting industry, and other notable things about it. Year of Establishment – Founded in 2004 by a few university friends. Headquarters – City : Sofia , Country : Bulgaria (In Europe). Siteground has its servers in data centers located in 4 countries, U.S.A. , the Netherlands, U.K. and Singapore. No. of websites hosted on Siteground – Siteground hosts more than 500,000 websites. It claims, these numbers are growing at a fast rate. No. 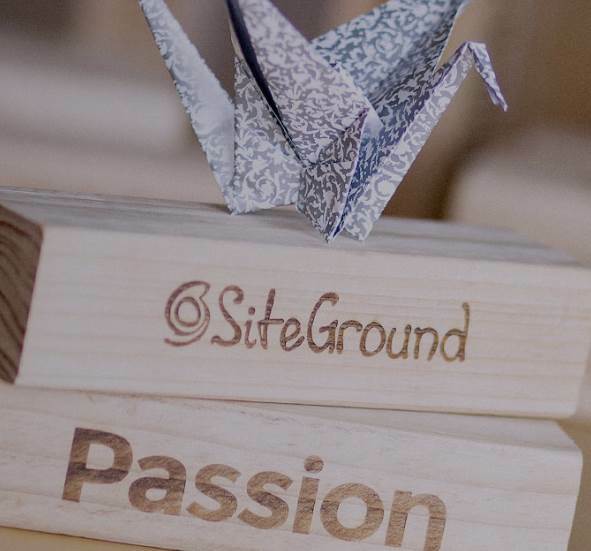 of employees – Siteground started with a handful of people working from their university rooms in the beginning. Today, the company has more than 320 employees. Siteground has received a highly positive A rating from Better Business Bureau (BBB) on a scale of A+ to F. BBB is a highly respected nonprofit rating organization. It is known for providing honest and free ratings to more than 4 million businesses in the world. Siteground has got the extremely rare honour to be officially recommended by WordPress. WordPress is the most popular Content management system used to build highly powerful and beautifully designed websites and blogs. 1 ) Siteground was the first Web hosting company to implement a unique account isolation technology in shared hosting. Earlier, it was considered impossible to implement such technology on shared hosting servers. This technology protects other websites hosted on a shared hosting server, if one website gets infected with some malware or faces some security threat. 2 ) Siteground is also popular for building its own innovative ticketing system and chatting software for their customer support department. These systems are highly efficient. They allow customers to choose their favourite support member with whom they have talked previously. Siteground’s support system has a very strong reputation for being fast and very helpful. In this part of the Siteground hosting review, i have presented a very detailed and in-depth analysis of the quality of web hosting provided by Siteground. It is a very lengthy review and it has been divided into 22 small parts for your convenience. If you are in a hurry, then take a look at this shorter version of this Siteground hosting review . Let’s take a look at different aspects of Siteground’s web hosting service in a systematic manner. Siteground is neither very cheap nor very costly. It has found a golden spot between cheap web hosts providing low to medium quality services and highly expensive web hosts which provide great hosting but are completely un-affordable for a common website owner/blogger. Siteground’s 3 shared hosting plans provide most of the essential features. 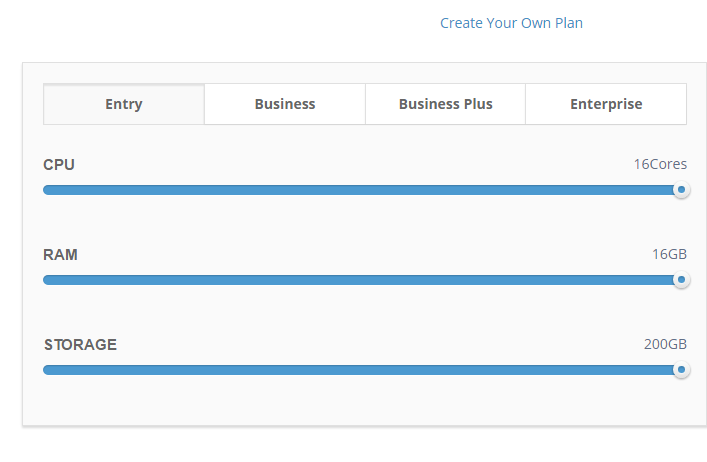 These 3 plans are priced at $3.95 , $7.95 and $14.95 per month for 1st year. 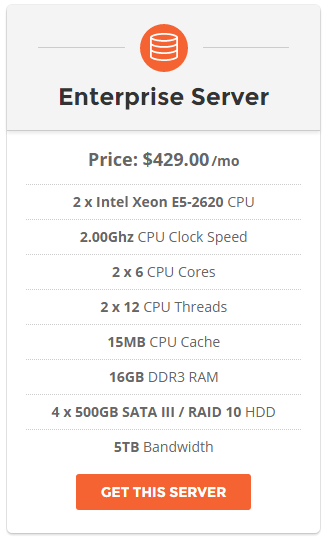 Its VPS plans have costs ranging from $80 to $220 per month. These are moderate costs as per standards of hosting its VPS plans provides. 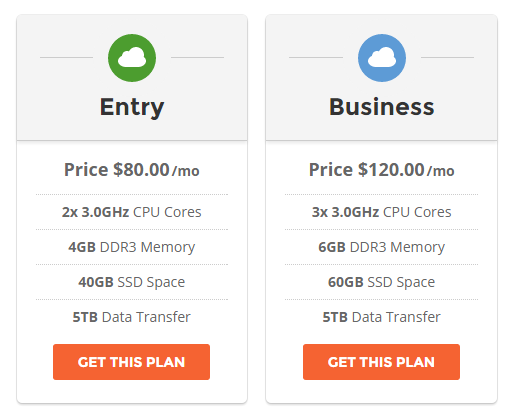 Siteground charges a monthly plan setup fees of $15 to $25 on their 1 month hosting plans. This setup fees makes there one month subscription plans very expensive. So, it is a better idea to go for an annual plan to get some discount and to avoid this setup fees. Siteground provides high quality of overall hosting and its plans are feature-rich. Therefore, its prices appear to be well within the range. This is why many Siteground hosting reviews has tagged it as A Premium web host available at affordable prices. Siteground has set a limit of 10, 25 and 100 thousands monthly visits in its 3 shared hosting plans. Reality is that more than 99 % of the total websites present on internet, have less than 1,00,000 monthly visits (Source- Similarweb.com). So, for maximum people this is simply not an issue. But, it is a big issue for some people. Specially for those who have low earning small and medium websites. For example, Bloggers making money from Google adsense, low paying affiliate programs etc. It is important to understand that restriction on monthly visits is actually for benefit of customers. This limit allows every website hosted on Siteground to enjoy greater amount of server resources. So that every website can have high speed, top quality customer support, high uptime, solid security etc. Siteground keeps the quantity low to keep quality at high level. 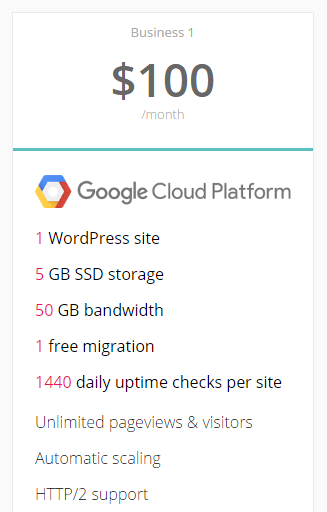 One more thing is that Siteground is very cheap when compared to many premium hosts. They charge 3-4 times of the amount charged by Siteground to allow similar no. of monthly visitors. Growbig and Gogeek plans of Siteground allow unlimited websites on 1 account. This facility is very helpful for people owning multiple websites. Those who manage multiple websites of their clients can also benefit from it. For example, a person can host 5 websites each having 20,000 monthly visits at a cost of only $14.95 in GoGeek plan. It means, he will be paying around $3 per month for every website. Even after renewal of the plan, cost will be only $6 per website per month. 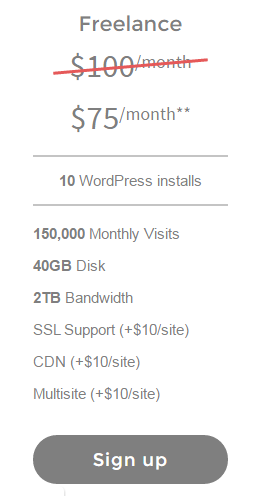 This is extremely cheap for a web host like Siteground. As it provides top quality service and features. Siteground officially provides unlimited bandwidth in its all 3 shared hosting plans. Truth is, that no host in the world can provide unlimited bandwidth at $3.95 /month. Simply because after a limit, web hosting company will start loosing its money. Why ? due to providing excessive resources. Unmetered traffic (bandwidth) applies to your use of web pages only (html, php, etc. ), not to upload or storage of movies, pictures or music files. While we do not meter traffic, the maximum availability at any time will depend on current traffic usage and the technical specifications of our equipment. Still, a normal website/blog will get benefit of this unlimited bandwidth. It will never exceed the bandwidth limit if it does not use too many images or videos. ( as long as it does not cross monthly visits limit of the plan). Siteground provides very high and fixed bandwidth limit of 5 TB ( 5000 GB ) in its VPS and Dedicated server plans. It is more than enough even for a website having 1-2 million monthly visitors. I guarantee it in this Siteground hosting review. 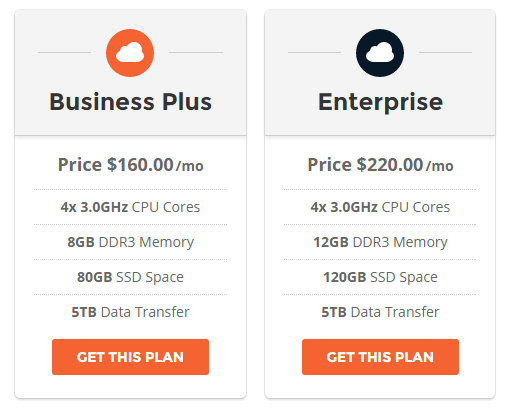 RAM limit for VPS and Dedicated server plans ranges from 2 GB to 16 GB. It is sufficient to handle sudden arrival of high traffic for all types of small, medium and large websites. If a web hosting plan has low RAM then a website may face serious trouble. Such websites will go down on arrival of high no. of visitors in a short period of time (like within a period of few hours). But Siteground provides sufficient RAM and you can buy even more RAM, if you need it. Siteground provides 10, 20 and 30 GB disk space in its 3 shared hosting plans. Most of the websites/blogs do not need even half of the disk space provided by Siteground. Let me give you a practical example to explain the amount of disk space, you may need. I have a website having 9 pages which have an average size of around 2 MB. The actual disk space uses in my hosting Control panel shows use of 368 mb. It is due to the fact that Disk space usage also includes few other things. Additional space is needed for technical files storage, emails storage, Database storage etc. Due to the nature of how files are stored electronically, most files occupy slightly more disk space than their actual size. For example, a 300 bytes file may occupy 4 KB of actual disk space. Normal webpages having 10-20 pages of text length and 5-10 optimized images have size of less than 2 mb. (There are many free tools present on the internet to optimize images ). So, even if your website has 100 pages having an average size of 2 mb, in most cases, you will not need more than 5 GB Disk space for the website. Before writing this Siteground hosting review, i did some additional research to confirm the above mentioned claim. If you use your email account too much, then disk space use will be slightly high. Still, it will remain within the limit . Only websites creating a collection of many high resolution images or videos will find this disk space limit to be low. For most of the blogs and websites, this Disk space limit is more than enough. High speed is very important to provide good user experience and high Google search engine ranking. Surveys shows that many websites loose a large portion of their visitors, just due to high loading time of their pages. E-commerce websites have to suffer very high revenue loss for every extra second that their pages take to load. Recently, Google has also added page loading speeds of a website as an important search engine ranking factor. So, speed matters a lot. 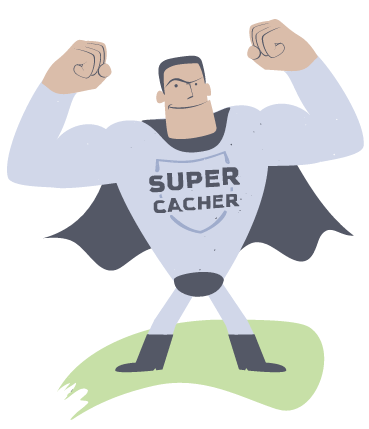 Use of very advanced and powerful SUPERCACHER plugin and NGINX web server technology. Users get the option to enable best practices recommended by Google for high site speed. A very rare feature. Files and databases on all the shared hosting plans are stored on latest Solid State Drive technology. It is famous for its high speed. Free CloudFlare CDN ( Content delivery network ), which makes a website load faster in different parts of the world. Siteground regularly moves its users’ hosting accounts from old hardware to new, upgraded and faster servers. This ensures top class performance and speed. Siteground is known for hosting very few accounts on a single server. This keeps Speed and overall hosting performance at high level. Any fair Siteground hosting review will surely appreciate the speed technology used by it. Having High Uptime ( time when a website is accessible through Internet ) is very important for any professional website/blog . If a visitor clicks your website’s link and find that it is down or not accessible, then it creates a very negative image of your website and spoils its reputation. Too much downtime will also result in a considerable loss of revenue for an e-commerce or service selling website. Siteground tracks its servers in real time, not in 1-5 minutes like many other hosts. It uses a unique downtime prevention software which instantly detects any downtime issue. It fixes 90% of them automatically, without any need of human interference. Maximum downtime cases are prevented by this software even before they take place. Siteground does not oversell its server resources. It helps websites to get better uptime and overall performance. Siteground’s official website claims to have an uptime of 99.999 % during last one month and 99.996% during last 1 year. 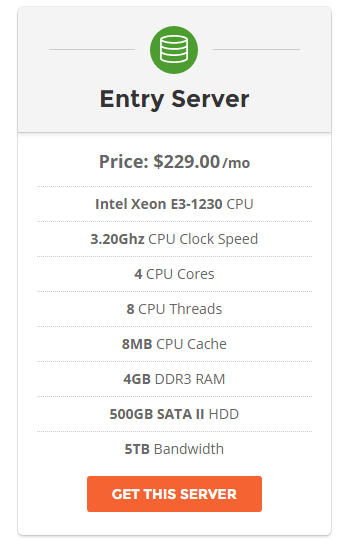 These numbers are a lot better than an average web hosting company‘s up-time of around 99% . Siteground provides a refund of up to 1 year of hosting cost, if a website’s up-time is found to be less than 99.9% . It is a part of their legal agreement. Through this siteground hosting review, i praise siteground for its commitment to deliver top class up-time. In this section of siteground hosting review, we will take a look at security features provided by siteground. Siteground provides a very strong security system. It ensures that all the websites hosted on it, remain safe from hackers, viruses and other technical threats. Use of unique account isolation technology to protect shared hosting accounts. This provides VPS Plan like security to even shared hosting accounts. Integration with Cloudflare CDN for improved performance and security. Free SSL certificates to shared hosting customers. Additional security layer to prevent invalid account logins. 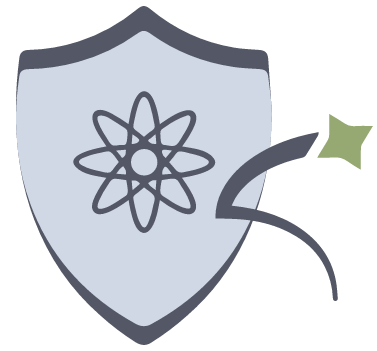 Additional security layer to ensure that all the plugins and themes installed on the website are safe and clean. Regular updating of hardware and software technology. HackAlert Monitoring for only $1 per month .It is a tool that checks a website daily and informs the website owner if something is wrong. It’s support system is considered to be very fast, efficient and customer friendly. Siteground provides all 3 popular support system types i.e. Chat , Ticket (similar to email support) and Telephone support for 24 hours and 7 days . Siteground has built its own ticketing and chatting software. This software provides the facility to talk to your favourite support staff member, with whom you have talked earlier. Siteground’s support staff is famous for answering even very specific and difficult questions. They do not try to avoid customers by directing them to some useless guide or irrelevant page. Apart from speed and up-time, siteground gets a lot of praise for high quality of its support system in many siteground hosting reviews. Overall, Siteground’s customer support is one of the most reputed support systems in the web hosting industry. Siteground provides 3 VPS plans and 3 Dedicated Server hosting plans. These plans provide sufficient server resources like Bandwidth, RAM, Disk space etc. for large websites. A website can handle even millions of visitors with such a huge amount of resources. So, even if your website/blog grows extremely big, Siteground can handle it with ease. How ? Due to its superior technology, sufficient resources and expert technical staff. Siteground also provides a very interesting and useful feature of creating customized plans for VPS hosting. This siteground hosting review has one more good deal for you. For dedicated plans, there is an option to add a performance booster for extra $50 per month. This will help in improving the speed and overall performance of website. Most of the website owners have little to no idea about web coding. So, most of them need a simple and smooth website builder. In this part of the Siteground hosting review, we will take a look at it. Siteground has recently added the popular website builder Weebly as a free option available with all their hosting plans. It allows you to create a beautiful and professional website without needing any technical skills. Elements like text, photos, maps, and videos can be added to the website. How ? By simply dragging and dropping them into their place. Websites have responsive designs. They will automatically adjust with any screen size from desktops to mobiles and tablets. Weebly supports all essential E-Commerce features to provide a smooth online shopping experience. You can upgrade to advanced version of Weebly to get even more features. Siteground uses the most popular and standard control panel – CPanel, which is used by most of the top web hosts. It is easy to use and no technical knowledge is needed to use it. It provides all essential features like file, email and domain manager, password protected directories, MIME types etc. Control panel also has an auto-installing tool called Softaculous . It allows you to install more than 300 useful applications with a few clicks. Siteground has 4 separate data centers across 3 continents. 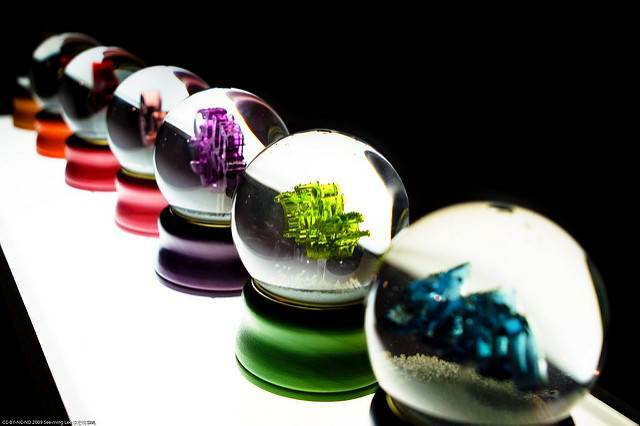 These are present in USA (Chicago), Europe (London & Amsterdam) and Asia (Singapore). Siteground allows you to choose any 1 location out of above mentioned 4 locations for your web hosting server. It is a very big advantage to have a server closer to the location from where your website receives maximum visitors. It improves the speed and performance of a website in a significant manner. It powers more than 25% of websites present on the internet. WordPress is reputed for providing great flexibility in design and better overall performance. It also provides a huge collection of free plugins ( small web tools ) , which help in creating a top-class website. Managed WordPress hosting provided by Siteground has 100% compatibility with most of the WordPress features and plugins. For last few years, Siteground has been trying hard to become a specialist in wordpress hosting. I must admit in this Siteground hosting review that Siteground has got considerable amount of success in doing so. Siteground provides all essential E-COMMERCE FEATURES which are needed for E-commerce stores and websites selling Products/services. Free SSL certification – Useful for protection of sensitive information like Credit card details, passwords, usernames etc. Dedicated IP address – Dedicated IP address is required if you need to install an SSL certificate. It also helps in improving customer’s trust and creates a professional image of the website. Free and easy installation of shopping carts such as magneto, os-commerce and prestashop. Installing these shopping carts can be a difficult task for people having little technical knowledge. But, Siteground makes it really easy for them. Free PCI Compliance ( Compliance with standards of payment card industry ) – It is a list of standards created to avoid possibility of any kind of credit card fraud. It has became almost mandatory for e-commerce websites to follow these standards. Special woo-commerce, magneto and Prestashop hosting for e-commerce websites. E-commerce websites need really high standards of security, speed and up-time due to their commercial nature. Siteground provides all these things and most of the essential e-commerce features at a very reasonable price. This siteground hosting review appreciates siteground for the flexibility it offers to e-commerce websites. You can have unlimited no. of free email accounts at your website’s domain name. For example, if your name is Deepak and you own a website called benison.com, then, you can get an email name like Deepak@benison.com . It helps people to identify your website’s email name more easily. Siteground also provides E-mail forwarders. They allow you to forward the emails received in your website’s email accounts to any other mailbox. This facility is used by many people for personal convenience. Overall, Siteground provides decent email account features. These are sufficient for maximum users. You can also use any third party service for more advanced features. Doesn’t matter if it is a Siteground hosting review or review of any other web host. You should always find information about its email features. It is true that you can use any third party service, but mostly, it is not very cheap. Siteground offers a 30 days money back guarantee on all the shared hosting plans. You can leave Siteground within first 30 days after activation of your hosting account. You will get a complete refund of the hosting plan cost. This is a very important facility and keeps your time and money on a safer side. You can use it, if you want to leave Siteground for any XYZ reason within first 30 days. Siteground provides 1 free backup copy for Startup plan, 30 backup copies for Growbig plan and an additional free automatic backup restore tool for Gogeek customers. Process of restoring the website backup is simple. It can be done just by accessing the backup restore tool. Experienced bloggers clearly understand the importance of website backups. As they have experienced the frustration, helplessness and disappointment of loosing the entire website data within few minutes. “Not having a website backup is a HUGE mistake for any professional blogger/website owner”. Siteground transfers 1 existing website per hosting account for free. Siteground staff do it themselves and you will not need to even touch your Control Panel. This is a very useful feature as many popular web hosts charge $30 to $149 for this service. An SSL certificate is good for security of a website and trust of the visitors. It is extremely important for those websites which collect sensitive information like Credit card details. Siteground provides free SSL certificate for 1st year. This certificate will cost $82 if you renew it. Siteground provides a free domain name when you sign up for your website. ( example – domain name of this website is zeniwo.com ). You are the owner of this domain name and it is free as long as it is the primary domain of your hosting account. But, on the basis of advice given by hosting industry experts, i will suggest you something. Buy it from some third party domain name registrar like Godaddy, Namecheap etc. Because, domain name is one of the most important things for a website and it is not good to take even 1% risk with it. In case of some dispute with Siteground or in case of leaving Siteground, you may find some trouble about ownership issue or transferring of the domain name. So, i personally recommend you to spend another $10 to $15 for domain name registration and buy it from a third party. It will be very safe and ensure that you are the only and absolute owner of your website’s domain name. This is one more personal opinion in this Siteground hosting review. You are free to disagree. Every shared hosting plan of Siteground has an approximate monthly visits limit ( like 10, 25 and 100 thousands). But, Siteground does not actually count a hosting account’s resource usage in terms of number of monthly visits. It uses a more complex system. In this system, every hosting account is allocated a specific number of CPU seconds. 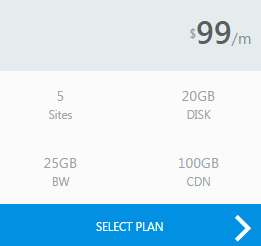 You can use a hosting plan for even double no. of suggested monthly visits limit. By optimizing your website to reduce the consumption of CPU seconds. For example, i read a practical case of a blogger who was using Siteground’s Growbig plan which allows 25,000 monthly visits. But, he optimized his website by using Cloudflare CDN, enabling Supercacher plugin, blocking spammy IP addresses etc. This way, he managed to use that plan for more than 60,000 monthly page views. Siteground sends few reminders to the website owner, when a website is about to cross its monthly CPU seconds limit. He is also provided a specific chart showing details of CPU seconds usage. If you cross the CPU seconds limit, you get the option to buy additional CPU seconds as an emergency arrangement. So that, website keeps working and does not go down. Later, you will have to upgrade your hosting plan. Siteground’s visit counting system is very transparent and efficient. You can get maximum benefit of it by intelligently using the tools and resources provided by them. Here, this detailed description of different features and services provided by Siteground comes to an end. Now, this Siteground hosting review will talk about the most important thing. IS SITEGROUND THE RIGHT WEB HOST FOR YOU ? Let’s find the conclusion of this entire Siteground hosting review. 1 ) It is not among the cheapest web hosts available on the internet. There are many web hosts providing $1 or $2 monthly plans, but they compromise with their hosting quality to keep costs low. Also, most of them charge $8 to $15 per month after end of their 1st year hosting plans. Siteground is a bit costly, but it justifies the costs by providing very high quality of web hosting service . There are many web hosts which charge 3-4 times of money to provide similar facilities that Siteground provides. 2 ) It sets a monthly visits limit for shared hosting plans. For many websites/blogs this is not an issue, but for few, it is a cause of concern. More than 99% of websites present on the internet have less than 100 thousand monthly visits. (Source -Similarweb.com). I STRONGLY RECOMMEND SITEGROUND WEB HOSTING FOR YOUR WEBSITE/BLOG. 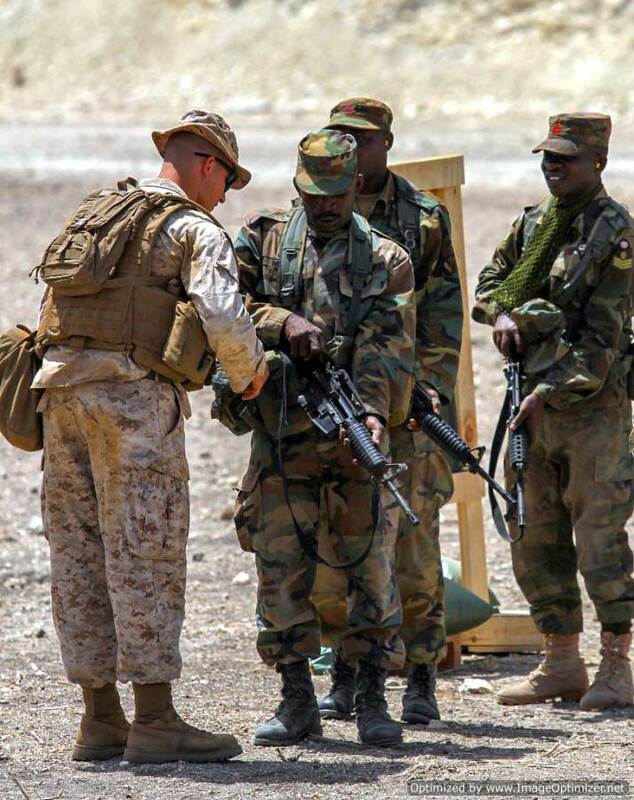 1 ) A proven track record of solid up-time, high speed, strong security, and, friendly support system. 2 ) Feature rich plans and scope to upgrade to higher level, if needed. 3 ) A very strong reputation for providing good quality hosting, built over a period of last 12 years. 4 ) Very positive response given by hundreds of existing and previous customers, on open internet forums through unbiased reviews. If you are interested in Siteground’s hosting plans, there are few interesting offers for you. Siteground is currently providing discounts of up to 60% on its shared hosting plans. To get this discount or any other discount available on VPS or Dedicated server plans, click on the below mentioned link. In this part of Siteground hosting review, i have suggested types of websites for which Siteground is considered to be an appropriate and dependable web hosting company. Websites/blogs having up to 100 thousand monthly visits – 3 shared hosting plans of Siteground provide sufficient resources and features like Bandwidth, Disk space, RAM, Website builder, Free email accounts, C-Panel etc. needed for most small and medium sized websites. Most of Siteground’s customers belong to this category and they highly appreciate its hosting quality. 30 day money back guarantee allows you to get a refund, if you are not satisfied with hosting quality. 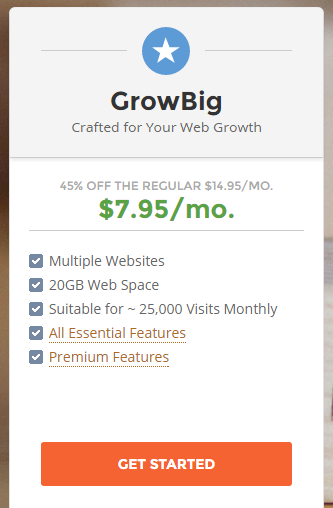 Good for people owning multiple small websites/blogs – Siteground’s Growbig ($7.95) and Gogeek ($14.95) plans allow to host unlimited websites on 1 account. For example, if you have 5-10 websites having up to 100 thousand combined monthly visits, these two plans are very useful for you. You will be paying only $1 – $2 per month for every website in this case. Large websites/blogs that need VPS or Dedicated Server Hosting – Siteground provides more than sufficient Bandwidth, Disk space and RAM limit in its VPS and Dedicated Server Plans. 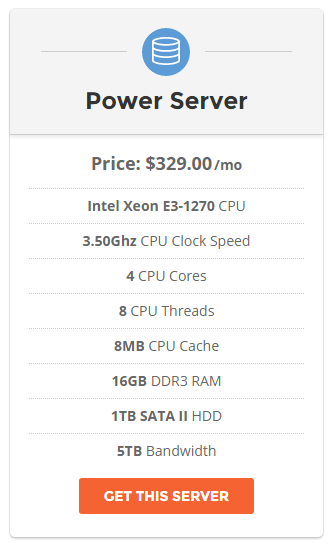 Its VPS plans offer up to 16 GB RAM, up to 16 CPU Cores, up to 200 GB disk space and 5000 GB bandwidth. Siteground can handle large websites having even millions of visitors in a very graceful manner. How ? Due to huge amount of resources, latest technology hardware and highly skilled technical team. 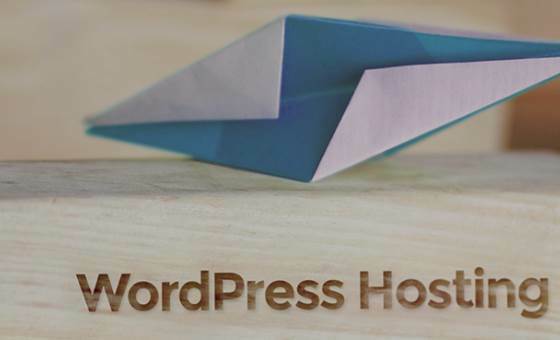 Websites/blogs using Managed WordPress Hosting – Features like WP-CLI enabled plans, Automatic wordpress updates, 1-click wordpress install, Staging facility, Supercacher plugin for high speed, Additonal security features, Pre-installed GIT etc. make Siteground a very good choice for managed wordpress hosting. E-commerce websites – E-commerce websites need high speed, strong security and very high uptime. Siteground provides all these things at a relatively low price. It also provides essential e-commerce features like Free PCI Compliance, Free premium SSL Certificates, Free and easy shopping cart installation etc. Siteground is one of the few web hosts to provide special e-commerce hosting like woo-commerce and magneto hosting. Personal websites/blogs selling products or services – Siteground provides above mentioned e-commerce features and it also provides all basic features and resources needed for a high quality individual website which can sell products and services. Small or medium business websites – Normally, such websites are visited by few thousand visitors per month and they need good looking and fast websites in a medium budget. Siteground can easily fulfill all these demands. Educational institutes’ websites – Educational websites usually get small no. of monthly visitors but they need a fast, simple, 24*7 available and functional website to maintain reputation of the institution. Such websites also have to handle traffic spikes during exam result, admission time etc. Due to high RAM and other server resources, Siteground is a really good choice for them. Very small websites using images and short videos – Due to unlimited bandwidth in all shared hosting plans, Siteground is good for very small websites having many images and few Short videos. But it is not an ideal host for medium and large sized websites of this category, due to their very high disk space requirements. This part of Siteground hosting review mentions those website types for which Siteground is not an ideal web host and you can find a better web hosting company for them. Blogging for fun or having few hundred monthly visitors – Casual bloggers or people making blog for a small group of their friends and colleagues can find many free web hosts on internet . But free hosts provide limited facilities and generally show their ads on the blog/website using them. Often, such blogs/websites are not allowed to make any money . People having really low budget – There is huge variation in the financial condition of people. Few can spend thousands of dollars very easily, whereas many others have to think ten times even before spending one hundred dollars. If you have very low budget, then do not worry ! There are many web hosts providing $1 or $2 per month hosting plans. High earning websites having millions of visitors – If you have a website having 1-2 million monthly visits and you earn good money like 10-20 thousand dollars per month, then you should go for other web hosts which are lot more powerful. They will charge $500- $1500 dollars per month, but hosting quality and features will be really awesome. Siteground is very good but there are web hosts which are even better (but they charge really high fees). Large websites needing shared hosting – Siteground’s shared hosting plans can not handle more than 100k monthly visits. If you want VPS or Dedicated hosting for larger websites, Siteground is a really good option. But, if you want shared hosting for a website/blog having 100k+ monthly visits, then, choose any other web host. 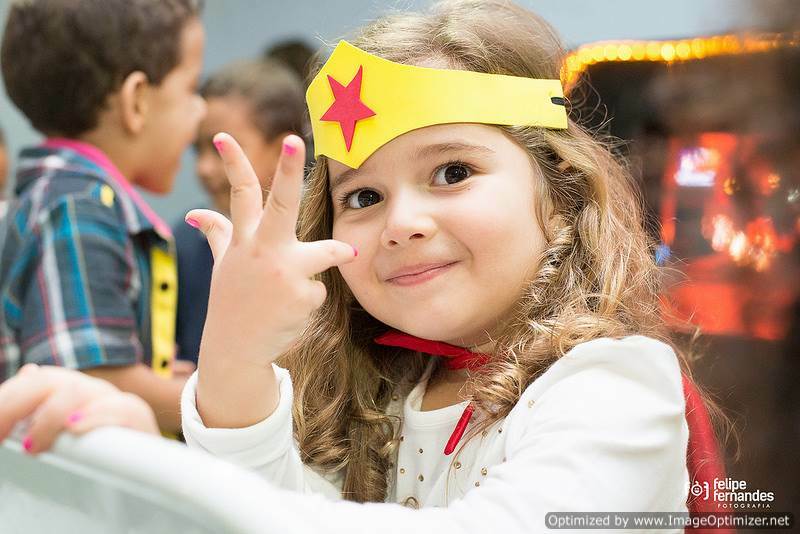 I recommend Media Temple, WP-engine, Pagely, Kinsta, Flywheel or any other top host as an alternative. These hosts are very expensive but they provide top quality hosting. Movie or video game sites – Movie downloading, video streaming, video gaming sites and other video heavy websites need extremely large amount of disk space. Siteground or any other web host made for normal websites will not be able to meet their demands. Find some other host which provide specific features and facilities which such websites need. Those who can afford WP engine, Pagely, Flywheel, Kinsta etc. – WP-engine, Pagely, Kinsta, Flywheel etc. are robust web hosts and all of them provide top class web hosting services. Most websites do not need even half of the huge amount of resources provided by them. But, if you need them and can afford them, just go ahead. Now, this very detailed Siteground hosting review comes to an end. I hope this review has provided you a very good idea about quality of web hosting provided by Siteground, which is one of the most popular and reputed web hosts in the world. If you think that Siteground can not fulfill your needs, then, don’t worry. Web hosting industry is so big, that there must be some other web host to be the right choice for your website/blog. But, If you have decided to choose Siteground, then, Some really good offers are waiting for you. Before getting started, you can directly get in touch with their support staff to find which option best fits your needs . SITEGROUND is currently running a huge discount campaign for its all 3 shared hosting plans. Click here to enjoy all these discounts.